FORT LAUDERDALE, Fla. - The U.S. Coast Guard is offloading more than 17 tons of cocaine Tuesday morning at Port Everglades. 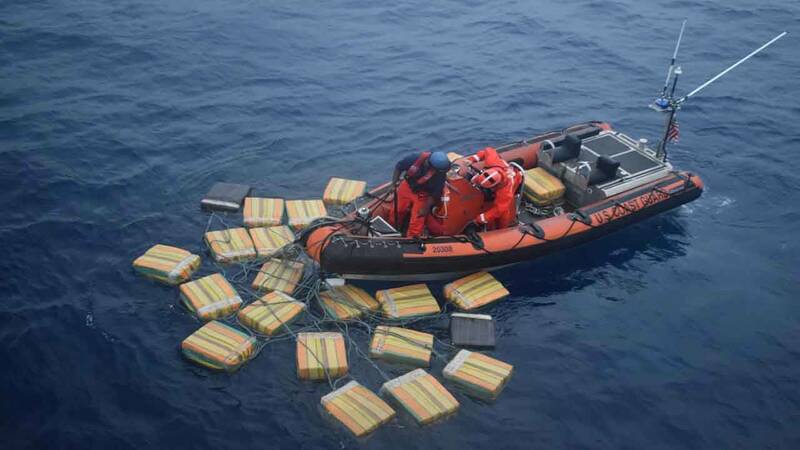 A Coast Guard news release said the 34,780 pounds of cocaine, worth an estimated $466 million, was seized in international waters in the eastern Pacific Ocean. The drugs were interdicted by six Coast Guard cutters in 21 separate incidents off the coasts of Mexico, Central America and South America from October to January. "The drugs will leave out of the western coast of Colombia, southwestern coast, sometimes a little further south of Ecuador," Admr. Karl Schultz said. "They head hundreds of miles out to sea, sometimes west and southwest of the Galapagos, and that's how they try to evade detection." The Coast Guard made 49 arrests. Coast Guard officials said some of the suspected smugglers tried dumping their illegal cargo once they were caught. "This is a mission success," Admr. Craig S. Faller said. "More work needs to be done."